This wet fly pattern was part of a commercial custom order I tied for Fishing Creek Angler Fly Shop and Bed & Breakfast in Benton, Pennsylvania. 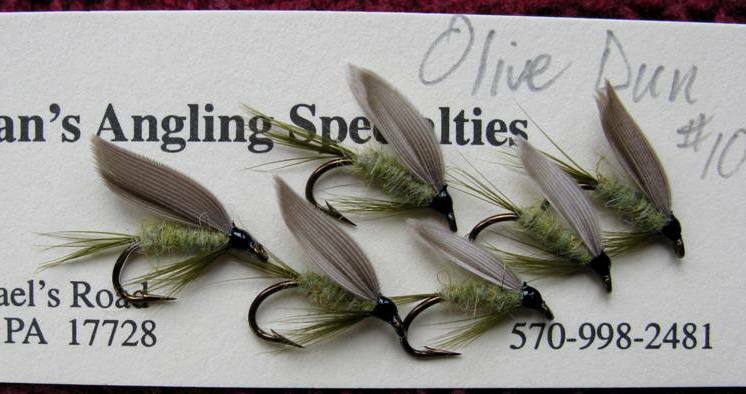 These flies and some of the others here in this series were tied in the late summer of 2009. Head: Black. This fly could also be tied with olive thread. This entry was posted in Fly Pattern Recipes, Wet Fly Photos and tagged Don Bastian, Fishing Creek Angler Fly Shop and Bed & Breakfast, Olive Dun.